Recently archeologists unearthed a sixth century BCE Buddhist shrine, the earliest ever found, at the birthplace of Siddhartha Gautama, the Nepalese town of Lumbini. As Asia rises as an outbound market and as Western travelers continue to grow an appreciation for the beautiful clarity of Buddhism, it follows logically that sites attached to Buddhism should grow into major religious attractions in line with attractions in such religious destinations as Jerusalem, Rome or Mecca. 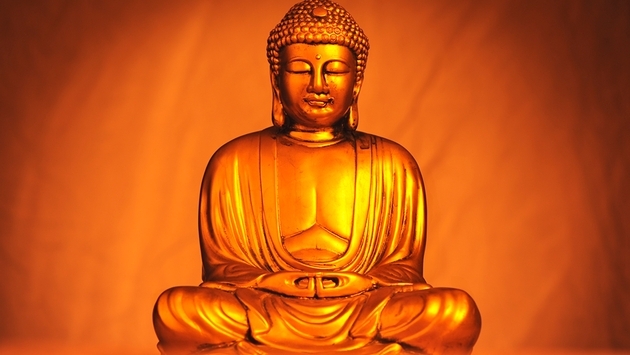 There are after all 375 million Buddhists worldwide and 400,000 of them live in the U.S. Since a 1967 visit to Lumbini by former U.N. Secretary General U Thant, powerful Buddhists have dreamed of elevating the town to the sort of stature that Mecca enjoys in the Islamic world. As the birthplace of the Buddha, Lumbini is already a UNESCO World Heritage Site, attracting about 150,000 annual visitors who find only a modest temple, a handful of monasteries and monuments from a partially completed plan to create a sort of vast sanctuary around the site. Since 1978 there have been plans to develop Lumbini into an area that could attract tourists and pilgrims in numbers more comparable to Mecca, which attracts 2 million pilgrims per year. What Mecca has that Lumbini has not had is reliable source of investment. Saudi Arabia built the roads, hotels and other infrastructure necessary for Mecca, but Nepal lacks the kind of money that the Saudi Kingdom wields. The Lumbini Development Trust was formed in 1985 in the belief that countries with large Buddhist populations would contribute funds to developing the site for visitors and to protect the finds of archeologists, the temples and monasteries. They picked up the 1978 master plan for a Peace Park by Japanese architect Kenzo Tange. That plan was only partially realized. Many countries built temples and shrines including Cambodia, China, Japan, Korea, Laos, Mongolia, Myanmar, Sri Lanka and Thailand, but the hope of a more comprehensive Peace Park with hotels, roads and more has remained elusive as years of Nepalese political instability scared off investors. Now comes a group from China, The Asia Pacific Exchange and Cooperation (APECF) Foundation, with plans to invest $3 to $5 billion to develop infrastructure at Lumbini. China is already at work on an international airport and planning a tower that will combine restaurants, temples, shops and prayer rooms. VTP Global, a self-described operator of Vertical Theme Parks, signed an memorandum of understanding with APECF last September to help them do it. This past summer, India and Nepal laid the ground work for the creation of tourist routes in both countries centered on the life of the Buddha. The tourist routes will encompass several sacred sites including the four holiest sites in Buddhism: Sarnath, Bodh Gaya, Kapilavastu and Lumbini. Two circuits have been proposed one in India featuring such sites as Sarnath and Bodh Gaya and the others in Nepal include Lumbini and Kapilavastu, where he was raised a young prince. In India, Sarnath is where he began teaching the principles of his enlightenment. Bodh Gaya is where he received the enlightenment.